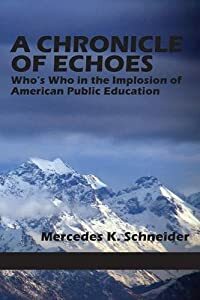 Just in case there is anybody interested in the public education takeover debacle who has not discovered Dr. Mercedes Schneider's blog or read her new book, here is her latest (I'm sure she is writing another as I post) blog. On July 01, 2014, I attended the Louisiana State Board of Elementary and Secondary Education (BESE) Special Board Meeting initiated by three members: Lottie Beebe, Carolyn Hill, and Jane Smith. While no item specifically mentioned the “Plan B” agenda item requested by Beebe, Hill, and Smith, Roemer allowed broad discussion for item one. Beebe openly chastised Roemer for not including a specific item addressing BESE direction for school districts regarding 2014-15 assessments. I stayed for the four hours it took to address the first item. White spoke a number of times about wanting “clarity”– his euphemism for, “I’m itching to sue the governor and offer zero guidance to districts in the meantime.” I spoke twice (three minutes total); both times, I emphasized that the PARCC assessment is involved in litigation in New Mexico and its development has been suspended. When Beebe brought up the subject of the New Mexico litigation involving Pearson’s PARCC contract bid, White responded (lied) that the situation concerned New Mexico only and its decision to have PARCC tests developed by Pearson. I publicly corrected him on that matter. New Mexico is in charge of the contract for the entire consortium. Despite PARCC’s having its own legal issues and being currently suspended, some BESE members continued to talk of PARCC as though the PARCC assessments had already been developed. Truly astounding. Smith proposed a motion that BESE approve usage of the 2013-14 LEAP and iLEAP assessments for the 2014-15 school year so that districts would know how to proceed given the likelihood that issues between White/LDOE/BESE and Jindal would not be immediately resolved. Scott Richard of the Louisiana School Boards Association said that this was the preferred course of action for both the school boards as well as district superintendents. Let me focus attention at this point on BESE’s three governor appointees. Nine BESE members attended this meeting. All three governor appointees were present (Smith, Connie Bradford, and Judy Miranti). 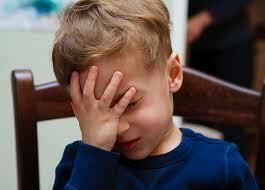 Miranti appeared confused about there not being assessments already in place for the 2014-15 school year. White was cornered into admitting that only “procedure” was in place and not actual tests. Neither Jindal-appointed Miranti nor Jindal-appointed Bradford was on record as voting “yes” or “no” for Smith’s motion. Immediately after the vote was taken, Bradford and Orange-Jones returned to their seats. The short of it is that Smith pointed out Bradford’s and Orange-Jones’ absence, and Roemer allowed Smith to ask for another vote. In the second round, both Bradford and Miranti voted “no,” as did Orange-Jones. I was amazed that this board refused to provide direction to districts in light of their apparent intention to pursue legal action against Jindal. LDOE has no contract for PARCC. Indeed, PARCC development is suspended. The highlight was seeing Bradford cornered into voting. No other BESE members offered any alternative course of action to relieve the school districts by offering decisive guidance in light of the BESE, “elephant-in-room” intention to sue Jindal. I left the meeting; drove my hour home, and headed to the gym for my Tuesday cardio workout and cool down in the pool. It was great. I used a new treadmill, and I really enjoyed it; I chatted with three people: one of my elementary school teachers, a classmate from high school, and a swimming coach who is intrigued by my writing books over my past two summer vacations. There is more to my world than a dysfunctional BESE meeting. I later spoke with Smith regarding the remainder of the meeting, which did not adjourn until around 7:20 p.m.
She had proposed another motion: That White and LDOE general counsel meet with Jindal and his counsel to attempt to reach a compromise prior to hiring special counsel and proceeding with litigation, and that White report back to the full BESE board by July 18, 2014. Her motion passed unanimously. Garvey then proposed a motion that BESE retain special counsel pro bono to advise on Jindal’s executive order. His motion was modified to include reporting back to the full BESE board. to reconcile with Jindal absent litigation, Smith proposed that BESE table Garvey’s motion until after Jindal and White had several meetings. This motion failed 6 (Boffy, Bradford, Garvey, Miranti, Orange-Jones, Roemer) to 3 (Beebe, Hill, Smith). Sarah Newell Usdin was elected to the Orleans Parish School Board in November 2012. She is the Founder and past- CEO of New Schools for New Orleans (NSNO). … In 1992… she joined Teach For America and taught 5th grade for three years in Baton Rouge before becoming Teach for America’s Executive Director in Louisiana. She went on to serve as a partner with The New Teacher Project (TNTP)…. Heads-up for the attorney general. That White and Roemer really want to sue Jindal is no surprise to anyone who attended the BESE meeting for at least 30 minutes. It is no surprise to me. The sad piece is that they are willing to blatantly refuse timely guidance to districts, and that in the face of the repeated and direct urging of three BESE members. If (“when” is the more likely term) White/Roemer/the BESE majority decide to sue Jindal, one promising piece is that Jindal’s attorney will be able to subpoena documents from White’s secret LDOE lair. From a distance and first impression, Question: Is someone is being paid off to “carry this ball” for e-testing and CCSS? Before leaving Louisiana after 30+ years I’d watched up close as various political operatives collected extra pay for NOT doing their real job including a previously “esteemed” Governor who was sent to prison. Are political things, including in education, still the same? Appears so, but again, now from a distance, so who knows? Most obviously and without a doubt John White is being “paid off” as evidenced by his $300,000 year salary for his lack of qualifications, experience or expertise in the field of education. Then there are the “pay offs” that White himself is proffering to the many TFA dupes he has hired. Then there is the “pay off” to BESE member Holly Boffy whose campaign chest was enriched by special interests and who was able to leave her esteemed position in a classroom where she would have had to really work hard to work as a full time paid “consultant” for the Council of Chief State School Officers located in Washington DC. Did I mention that Supt. White is a Chief SSO meaning he is now HER boss? And of course you know that the CCSSO partnered w NGA to develop Common Core and its money-making arm, PARCC. Then we all know about BESE member Kira Orange-Jones, State TFA shill, who one could characterize as ” paid off” by campaign contributors such as Bloomberg of NYC, her TFA BOSSES, and the awards of millions of $$$$ in grants and contracts (again our tax dollars) to her boss and White’s former employer TFA with BESE members complicit in those “pay offs” by virtue of the vote to approve White’s recommended contracts. Then there is BESE member Jay Guillot who managed to achieve an Ethics Administration blessing in spite of the conflict posed by the awarding of his engineering firm state contracts. He recused himself at the last BESE meeting (as chair of the administrative and finance committee) while a vote was taken on contracts (over $50,000) with RSD construction projects (Agenda item 6.4). While his firm was not listed as the primary, it can be assumed his firm may be a subcontractor. I asked Chas Roemer when I questioned the item in my testimony during consideration before the vote, why Mr. Guillot had recused himself but was told, “I am not sure.” Mr. Guillot had walked out of the room just prior to the vote although he stood behind Ms. Bradford during discussion, so I was not able to ask him publicly. I emailed Mr. Guillot the next day but have received no response. I will next file a public information request for a copy of the contract although all I initially wanted was confirmation. Then there is BESE member Walter Lee who allegedly created his own “pay offs” by double billing for BESE expenses and his school board expenses. He is under indictment now fir alleged crimes.